Bettie is a ballgown with long train. 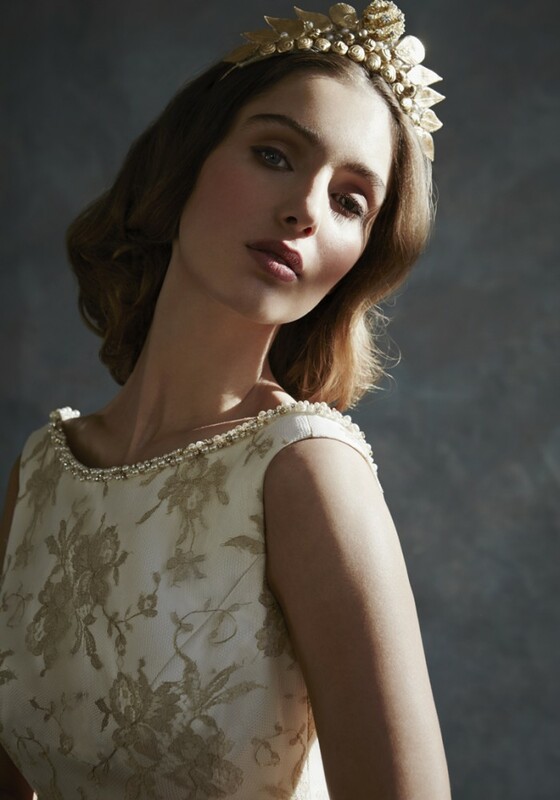 The bodice is made in gold French lace with a luxurious cream silk duchesse skirt. 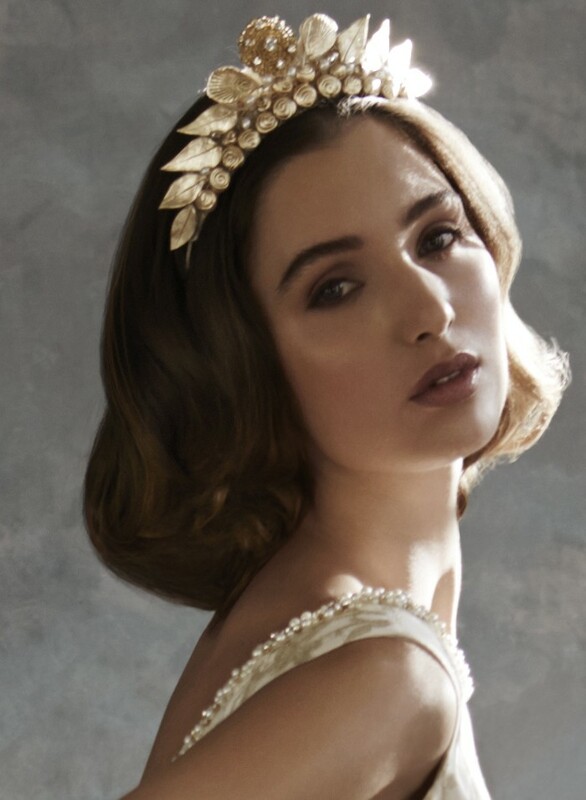 Pictured with matching Byzantium Tiara with gilded ceramic leaves and crystals. Also see matching Bettie jewelled headband. 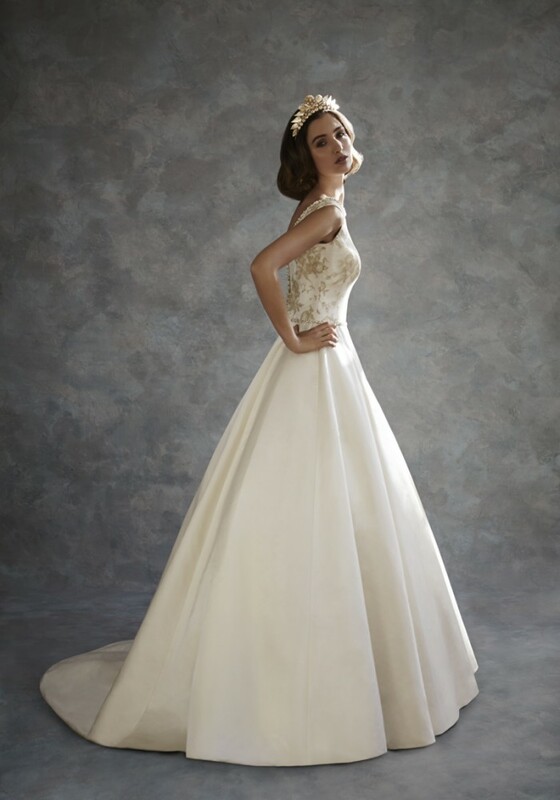 All our dresses are hand crafted and made to order for each bride in our own studio in London. Available from Bellissima Bury, Fleur De Lys Suffolk,Lori G Derby,Rachel Scott Edinburgh,White Room Mullingar, Alison Kirk Perth, Blush Belfast,Matchmaker Brentwood and Brides of Bakewell.